The 10 Best Taco Places in Washington State! Tacos: The perfect meal for any time of day, any time of the week. No matter who you are, these flavor-packed morsels will make your mouth water. Washington has a ton of places to get a seriously good taco. Here are the 10 best spots in the state! Meat, onions, cilantro, tortilla. What more can you ask for in a good taco? Taquiera El Chavo has authentic Mexican food that keeps people coming back for more. You can be sure to get hooked after your first bite! Taquiera El Chavo, muy bueno! 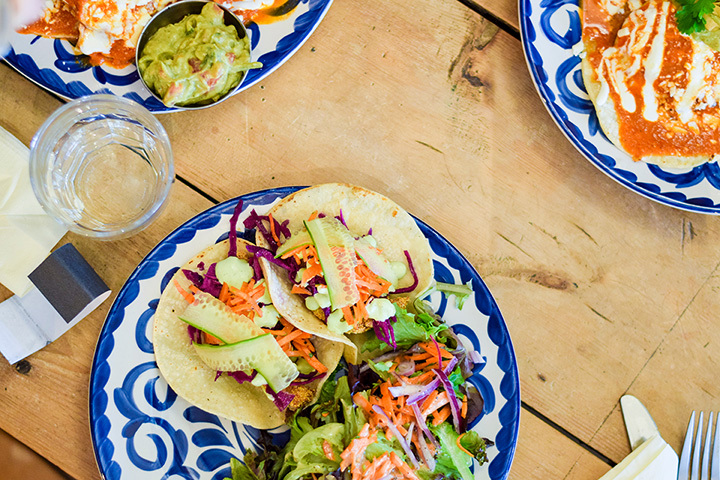 Mexican street-style tacos and infused margaritas makes this little cantina a great place to visit! Stuff your face with $1 street tacos that are as good as they come. The food and the drinks are all you need to get a sunburn up in the northwest. “El take it easy” at El Borracho! Flavorful tacos at a reasonable price, Tacos Chukis is a surefire way to light the tires on your next taco expedition. Great street-style tacos, great service and great drinks makes Tacos Chukis in Seattle consistently stand out from the crowd. Get some! Starting out from a street truck in 2002, Rancho Bravo Tacos has been serving up Seattleites with great authentic home style Mexican food. Taste the difference that locals and tourists alike can’t get enough of. Come and get your spice on at Rancho Bravo Tacos! This Neighborhood Taqueria cooks up some seriously tasty tacos crafted in the traditional style. Come in and get a great meal. The tacos are a stand alone in their deliciousness and quality according to many customers. Frequently referred to as Spokane’s best place to get tacos, Taqueria Fiesta Brava, come and get it! Get your hands on the zesty and Latin styled inspired food. The tacos at South in Leavenworth are sure to get your taste buds sizzling for seconds. Take a journey to Latin America or come here. For those of us who can’t swing a trip to South America, South in Leavenworth will work just as well! Come in for the deep and fully developed rich and robust flavors that come only with hours and hours of simmering and marinating. The authentic tacos are served fresh from the grill and will satisfy the harshest of critics. Donna Juanas Tamales in Wenatchee is a local favorite and one of the best! Another Local Favorite in Wenatchee, Taco Loco has been serving inland Washington for over 15 years, serving out oversized delicious authentic Mexican dishes in a cozy restaurant. Locals have made this a regular stop for all their spicy taco cravings. Taco Loco comes highly recommended! For consistent and delicious is what customers continually say about the authentic Mexican food here at Marcela’s Cocina Mexicana in Chelan. Great tacos, great margaritas and great service has locals and travelers alike praising Marcela’s! Awesome food Oaxaca-style made La Carta de Oaxaca Seattle’s best Mexican restaurant in 2012. Tacos al pastor are one of their specialties. So if you’re privy to the delicious combination of fruity and spicy, then you have to experience La Carta de Oaxaca. And if that’s not your dig, they serve up a mean carne asada taco as well. Don’t miss out! Come taste La Carta de Oaxaca!